The Illesteva Murdoch frames have become nearly as classic as the Wayfarer Clubmasters or the Persol 714s. 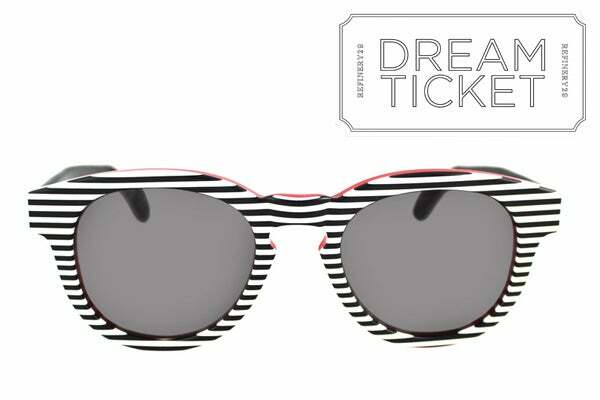 Updating a (not-so-) old favorite, Illesteva has designed a new pair just in time for sunshine weather. The Murdoch II features a slightly rounded shape and a thick, bold frame that'll seriously flatter most head shapes and sizes, as it's not too wide, narrow, big, or heavy. These sunnies come in seven different color options, but our favorite has to be the ones with these cheeky stripes — which, in our opinion, is guaranteed to give your Breton shirts a run for their money. Illesteva The Murdoch II, $230, available at Illesteva.com.